Posted on July 26, 2013 by S. James Nelson under Kids, quality of life, Uncategorized, video games, what is real? This is a fun video advertising the Sony Playstation. I like it, but I think it highlights a challenge that our up-and-coming generation is going to have with life. Real life is not as rewarding as video games. Therefore, why bother participating in real life? Sure, sure. I know. With video games there’s a feeling of success. There’s a rush of adrenaline when you kill that final boss. I totally get that. I’ve killed the devil, myself. But it’s pretend. It’s not real. You didn’t actually kill a dragon or take down the mob boss or the alien hordes—even if you feel like you have. I know you know that, but the problem arises because of how it trains our minds to work. You see, it may feel like we’ve done something incredible, but we haven’t. In reality, what we’ve done is learned to perform some tasks that were designed to be manageable and doable by degrees to provide the illusion of accomplishment. We haven’t killed a dragon. We’ve been led by the hand through tasks that while successively more difficult were formulated by the game designers to be manageable. They wanted us to like their game, after all. Who can blame them? And maybe it was difficult. We couldn’t have defeated that dragon without all that work. But the problem is that it was designed to be manageable. It was designed to lead us along until you succeeded. It was designed with our success in mind–and to make us feel that rush. In a sense, we did in fact slay dragons. We did, in fact, uncover the government conspiracy to turn us all into frogs. We did, in fact, defeat the aliens. And that’s pretty satisfying. Here’s where there’s a problem. The feeling of accomplishment in real life isn’t anywhere near as great for the amount of work you do. I’ve spent an hour a night for the last week playing basketball, and I still miss 50% of my shots. I could have been slaying dragons. I sat in this class and learned first aid so I could get this crappy little badge? I could have been racing Lamborghinis in Italy. I’ve worked six months washing dishes and earning $8 an hour, and you’re promoting me to fry cook? I could have spent that time dismantling an alien civilization. I studied 2 hours last night, and got an A- on my test. Pshaw! I could have been creating worlds. The adrenaline rush—the reward—for video games, is so much greater in the short term, that it’s easy to trade work (or even play) with long-term rewards for those short-term rewards. So, kids will want to disengage from real life, spend their time doing things that–while contrived and fake–provide a fair amount of emotional reward. Without good parenting, it could be rough on them when it’s time for real life. Should you skip to the last Wheel of Time book if you haven’t read the last 8 books? I may have committed some kind of unpardonable sin. I’m listening to the last Wheel of Time book without having read books 6-13. That’s right, I skipped more than half of the series, and am listening to the last book. I’m sorry, I just couldn’t help it. Back it the early 90s I loved The Eye of the World, The Great Hunt, The Dragon Reborn, The Shadow Rising, and The Fires of Heaven so much that they really influenced me into start writing. Those, more than any books, lit a fire under me. But life happened and I stopped reading for a few years. By the time I got back to the Wheel of Time, just considering the intimidating length of Lord of Chaos’s Prologue was enough to turn me off. I just didn’t have time. I suspect my reading interests changed. And besides, many people said that a lot of those books just weren’t very good. (Just look at the reviews of Crossroads of Twilight, would you?) Nothing happened in the books, or they happened agonizingly slowly. “I’ll read the entire series once the last book is out,” I told myself, believing in my heart of hearts that the last book would never come out. So, how is it, skipping books 6-13? Am I lost in the plot? Do I know what’s going on? Do I even know any of these characters? To be fair, I did spend about an hour reading plot summaries of books 6-13 (I think on this site: http://www.wotsummary.com/). And there were some interesting things that happened in those books, but really, in the end I feel pretty good about where I’m at. So, if you’re in the same boat I was—you read some of the series but couldn’t bring yourself to read all those books that were coming out about once every 3 years—I say go for it. Read those plot summaries of books you haven’t read, then jump right in to the last book. Will some things not make perfect sense? Sure. Will you miss some nuances? Of course. Will you wonder who this or that character is? Absolutely. But you’ll have a grasp of a majority of plot points, and you’ll know who all the really important (and many of the minor) characters are. If you’re willing to just recognize that you’ll miss a few things, or won’t know exactly who all the minor characters are, you’ll be just fine. I am. I’m glad I jumped in. So far I’m about 1/3 of the way through, and enjoying it—but also very happy I didn’t invest the time to read all those other books. Maybe someday I’ll go back and read the first 5 books again, for old time’s sake. And maybe I’ll read the other two books written by Sanderson (who I’m a big fan of). But there’s a high likelihood that I’ll never read The Path of Daggers and a few others. For now, I’m just excited to be back in this world. With the end in sight. Of course, the big question from the early 90s remains: Will Rand survive the last battle? 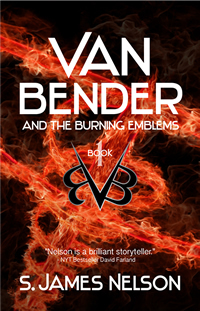 Van Bender prequel and trilogy available now! Finally! After about two years of work, the Van Bender Archives are available on Amazon. Strangely enough, the hardest part was getting Amazon to list the prequel for free. The series is about Richie Van Bender, the hottest teenage rock star on the planet. All he really wants is a chance at a normal life. He’d like to use Facebook and interact with his friends online. Maybe even hold a concert or two and win an award here and there. His mother refuses, saying it’s for his own safety. She basically treats him like a criminal. But with a little help from his friends, Richie seizes an opportunity to live his dream, and learns exactly what his mom is talking about when she says he has no idea what’s out there. Prequel, Van Bender and the Spirit Tether–FREE! This almost has the title of a political rant (or, better yet, conspiracy theory) but it’s not. I know—what a relief, right? Here’s what it’s about: don’t believe everything blogs, news sources, and other “experts” say to you. Especially if they provide you with a rating or some kind of statistic. People want to naturally trust statistics and “experts” but without all the details, it’s hard to really trust the information. Two examples. 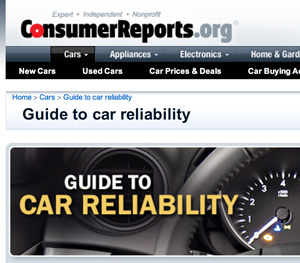 Consumer Reports gives information about vehicle reliability each year, indicating which are most reliable, and which are less reliable. I used to live by these things until I realized something important—they’re not giving us all the information. Here’s what I’d like to know: just how more reliable are the reliable cars? Is it significant enough to really influence my decision? The answer might be yes, but I’d like all the information so I can make a truly informed decision. In illustration, car XYZ may be the most reliable. But what does that mean in real terms? Maybe it means that XYZ breaks down 1 out of a 1000 cars. The fifth most reliable car is going to break down more than that, certainly, but just how much more? Is it significant? If it’s breaking down 100 out of a 1000 times, then yes. But maybe it’s only breaking down 3 out of a 1000 times. That is not significant. See what I mean? Give me all the information so I can make a better decision. I read an article yesterday that gave ways to stretch your fuel dollars. Good article. But one point stuck with me: take the rooftop carriers off the top of your car. They decrease gas mileage by as much as 15% at 65 mph. That’s pretty significant, and probably a reliable number. But here’s what I’m wondering—what kind of roof carrier were they using? Was it a boxy type? Was it an aerodynamic type? I reckon that if the rooftop carrier manufacturers gave us a statistic, it would be more favorable than the one in an article about how to improve gas mileage. Anyway, question everything that you read. Don’t take it at face value, because chances are you’re not being told everything. 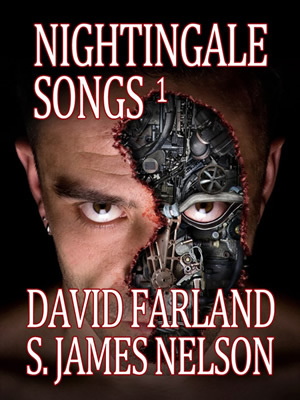 Today my short story Forcible Powerdown is available for free as part of an Anthology published by David Farland. The story won his recent short story contest. I’d like to explain myself–how I won the contest. It wasn’t by accident. About two weeks before the deadline for David’s writing contest, I told one of my writing group peers that I wasn’t going to enter the contest. I’d tried to write a story, and just didn’t have it in me. Anything I wrote ended up being too long. And then, about a week prior to the deadline, I decided to give it one more shot. Forcible Powerdown resulted. When I finished, I knew I had a contender. Here’s how I knew: I know David Farland, and what kind of fiction he likes. In fact, David had given to the entire world advice on how to win a contest, and his first piece of advice was this: write a story tailored to the judges. From the start I set out to do exactly that. I wanted to write something that David Farland would like. How did I know what he would like? I’ve spent a fair amount of time with David, at writing workshops, conventions, and dinners. I’ve worked with him at his seminars. I’ve read his Daily Kick since about its beginning. I think I’ve read six of his novels—which is saying something, because these days I don’t read more than one novel from any given author unless I really like the books. For example, where some people complained about the ending of his fourth Runelords book, I found it brilliant. I understood what the role of the Earth King really was through those four books, and the equivalent in our world today. I totally got what he was doing. Dave’s books just speak to me unlike a lot of other writers’ books. What I’ve concluded is that Dave and I have the same taste. And that made it easier to write a story he would like. I’d most recently read Nightingale, his newest novel, and On My Way to Paradise, his very first novel. I noticed themes that resonated with each other, especially about what makes us human. And how do “special powers” and technology change us, make us less human? And how can we use those tools to make us more human? Also, after reading Dave’s work, I knew that he likes stories with heart. That’s what he writes. His heroes almost always face challenges because they’re too nice for the situation they’ve been thrown into. (Coincidentally, that’s how Dave is. He’s a super nice guy, and I bet it’s gotten him into trouble a time or two.) Dave likes heart. My story had to have heart. So I took that knowledge and crafted a story in which technology dehumanizes people. Then, with “magic” the people are able to become human again. Fortunately, it was easy because I’d been chewing on the themes in my own life for months, and been watching as augmented realities are beginning to be seen in our own world. I simply extended the existing technology out a hundred years, and built a simple world. I knew Dave would love it. He was messing with augmented reality in his first book. Aside from that, I threw little details in there that I knew would speak to Dave. For example, at the opening of the story, a kid gets hit by a car. Dave once told a story about how someone got hit by a car while he was in China. I knew it would resonate with him. I tried to include as many details like that as possible—things I’d heard Dave talk about or write about. Even the name of my story “Forcible Powerdown” utilizes a word commonly found it Dave’s Runelord books: forcible. So, there you have it. I won Dave’s contest by writing a story just for him. As a result, I’m not sure how many other people will like the story as much as he did. That’s okay. I wrote the story for an audience of one. Thanks, Dave, for everything you’ve taught me and done for me! About 10 days ago I went camping with the boy’s scout troop. We had a head lamp for light in the night, and I was disappointed with its performance—especially since it was new last summer. I attributed it to the boy destroying it. So, on Monday I hit the last day of the REI Anniversary sale and picked up a new headlamp for myself. This one is a nice one. For me. No one else will be using it. I took great pleasure in shining it in my wife’s and kids’ eyes, and even greater pleasure in comparing and contrasting this fancy new head lamp with the crappy old one. At some point someone had the idea to swap out the batteries. It was probably my wife. She’s smart like that. So I took out the new Energizer batteries from the new headlamp, and put in the Heavy Duty batteries from the old head lamp. And put the Energizer batteries in the old head lamp. Much to my dismay, suddenly my fancy schmancy new headlamp is not as bright, and the crappy old headlamp is much brighter. I always thought the talk of different batteries being better than others was marketing hype. Turns out I was wrong. It’s okay, i can admit it when I’m wrong. Like having a baby, this changes everything. I have a feeling I’ll be spending more money on batteries from now on. Don’t get me wrong. I like small government as much as the next person. But in my travels I’ve decided that there are several government projects that I am really in favor of. Two, in particular. National and state parks. You can actually lump this one in with “preserving nature’s gems.” Now, I’m no environmentalist. In fact, I think that many environmentalists take things way too far. But I do value the beauties of this fine nation, and in fact I would like to visit them all. I reckon that if national parks weren’t created, the beautiful areas would be overrun by capitalist pigs (I say that with the utmost of affection). There’s nothing quite as awe-inspiring (that is, awesome) as a towering waterfall or natural formation like Delicate Arch. 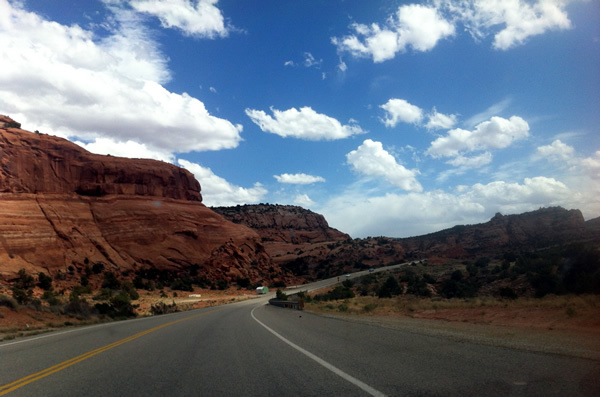 In fact, it’s a wonder just driving through national and state parks. Which brings me to number 2. Roads. Especially highways. And rest stops. I spend a fair amount of time on the road for work, and really, it’s amazing that I can travel so far so quickly–on a government-funded project, no less. Simply amazing. Cars represent freedom, and they couldn’t do that without anywhere to drive them. The national highway system, in particular, is a real wonder. Thousands and thousands of miles of concrete and tar and who knows how much road base all put down so that people can get from point A to point B, C, D, E, F, all the way up to ZZZ in relatively little time. The interesting thing about these two projects is that it’s not necessary for things like income tax to pay for them. They could probably be totally funded by the people that use them. Simple use-fees (tolls, gasoline tax, or entrance fees) really could pay for them. They could be operated like a business, without tax subsidies. That might make them extremely expensive, but then we know that the people who actually enjoy them are the ones paying for them. After all, if Joe Bob never goes to a national park, and absolutely hates nature, why on earth should he help pay for the national parks? I’m not sure. I suppose someone out there has an answer to that. So, anyway, do you have any government projects that you really, really love? I travel a fair amount for my day job, and it never ceases to amaze me that there are so many people around. I mean, they’re in airports, taxis, cars, and trains. They walk along sidewalks, cross streets, take pictures, and generally take up space and breath air. Don’t get me wrong. I’m used to people. I interact with them in person on a daily basis. I drive with them on the same highway, I work with them in the same office, I see them at the gas station and grocery stores. I even talk with strangers on a semi-regular basis, saying things like, “Thank you”, “Excuse me”, and “Good morning.” Sometimes I feel like a complete extrovert! And I know that in theory there are a lot of people out there. I see them on TV. I read about them on the Internet. I see huge crowds of them at athletic events, rallies, traffic jams, and other various newsworthy happenings. So I know they’re there. At least, in theory. This morning as I took a taxi, our driver was easing around a turn, waiting patiently for the pedestrians to get out of the way. Along came a police woman on a Segue, and the taxi driver rolled forward just enough to make the police woman hesitate and look at him, wondering if he was going to plow her over. She made eye contact with him, and shook her head in rebuke–and must have seen the smile on his face and realized that he’d been teasing her, because she smiled and shook a friendly finger at him. It was just a small thing, but reinforced something I’d been thinking all week. All of these thousands–millions–of people actually exist and go about their lives completely unaware of me. They have no idea that I’m (I hope) an awesome husband and father. They don’t know that I drive 25-30 minutes to work most days, and that sometimes I work at home. They don’t know that I’m struggling to gain attention to my books, and that I plan to have three more out before long. They don’t know that I agonize over some decisions relating to what kind of hamburger to buy, and how to handle relationships. They don’t know that I want to climb mountains this summer, and can’t wait to get home to my family every time I’m away. They know none of this. They just go about their lives, unaware of me. Every one of these people–the taxi driver, the police woman on a Segue, the homeless man sleeping on the park bench under a canvas, the tourist taking a picture of the Capitol, the Congressional staffer, the waitress at Tortilla Coast–everyone of these people has a story that I am completely unaware of. That’s right. Every single one of them has a story that’s just as important to them as my story is to me. When they burn themselves with a too-hot shower, it hurts them just as much as it hurts me. When they make it across the street without getting hit by a car, they’re just as thrilled as I am when I do the same thing. When they hear about some unrest somewhere in the world, they’re just as disturbed as me. When their hopes fail, they hurt just as much. When stress threatens to overcome them, they need just as much support as me. It’s crazy. All these people all over the place–all just as human as me, all just as alive as me. Insane. I originally planned to release the Van Bender trilogy before the end of 2011. I knew that was an aggressive deadline for myself, and so wasn’t too upset when the day went back a month. But then it slipped another month. Then another. Now I’m looking at the start of summer. Despite the problems, I’m glad that I’m writing all three and releasing them all at once. Here is the biggest problem: I get along writing something and it’s awesome, but doesn’t necessarily fit with what’s been written in the past. So, I end up having to go back and change things in prior books in order to make it all gel. This is not a problem you have when you write a book, then release it before writing the next book. In that scenario, you’re stuck with what you’ve already done, and your new stuff has to match it. In this “write everything first then release” scenario, you end up having more work to do as you fix everything multiple times, but I think in the end the entire experience is more satisfying. At least, I hope it is. Because, man, this is a lot of work. Somehow, books have maintained their status as one of the few modern entertainment mediums that are not subject to some kind “objective” rating system that advises consumers regarding the content of the book. I suppose this is fine, but as a result have found myself reading a fair number of books without a clue regarding some of the content in them, and subsequently stopping because I simply wasn’t interested in some of the content. I would prefer it if I could learn beforehand the nature of the content I will read in a book. This desire is amplified as my children grow older and select their own books. How can we choose books that we will dislike due to content we aren’t interested in if we have no way of knowing what the content is? I don’t know of a way. For example, these days the movie rating system is not detailed enough to tell me if the content of a movie is something I want to watch. So, before I go to a movie or rent a DVD, I use the IMDB app on the iPad to take a look at the parental guide. I’m interested in seeing what kind of content the movie contains. Not just for my children, but for me. On several occasions, I’ve decided not to watch or rent a particular movie because I’m not interested in some of the content. I suppose I miss out on some good movies, but I can handle that. I don’t need to see everything that most people would probably deem worth seeing. Content guides have benefited me. I’m aware of friends and family members that use content guides in the same way. As far as I know, we don’t have the same resource for books. I’d like to suggest that writers take the initiative to provide content guides for their own books as a courtesy to those who would prefer to filter certain types of content. Note that I did not say “parental guide” but “content guide.” Sure there are types of content that are inappropriate for kids, but there are also types of content I don’t want to experience. It’s that simple. I imagine some people (both authors and readers) will object to these content guides on various grounds, but I view the guides as a courtesy to readers interested in them. Nobody is going to make anyone read the content guide beforehand. As an author, I see content guides as beneficial. If someone knows beforehand whether they won’t like some of the content of my book, there’s a better chance that they won’t read (and subsequently rate) a book they won’t like. This will probably lead to higher ratings for books. So, from here on out, I’ll be providing content guides for my books, and will be looking for them before I read other books. Will it stop me from reading a book if I don’t find one? Probably not, but I’ll probably review a book poorly if I find content in there that I don’t like. After all, I didn’t like it, and that’s what a personal review represents.